It’s so tough when your baby won’t stop crying. You can feel helpless, or that you’re not doing it right. You might worry that something is wrong with your child, or that you aren’t connecting with your baby. Babies cry for all sorts of reasons, it’s the only way they can get their message out to us in the early days. Crying captures your attention and helps your baby to express what they need. Babies are always trying to tell you something with their crying, it’s not for ‘no reason’ but sometimes it is no ‘obvious’ reason. It can be very wearing when you don’t know what to do to help them. Try looking at things from your baby’s point of view to help you work out what might be going on for them. Remain curious about what is happening in their world. We may not know the reason for the crying, or be able to stop it, but we can be there for them, and hold them, talk to them, and respond to them as best we can. We can offer comfort even if we don’t know the reason for the crying. 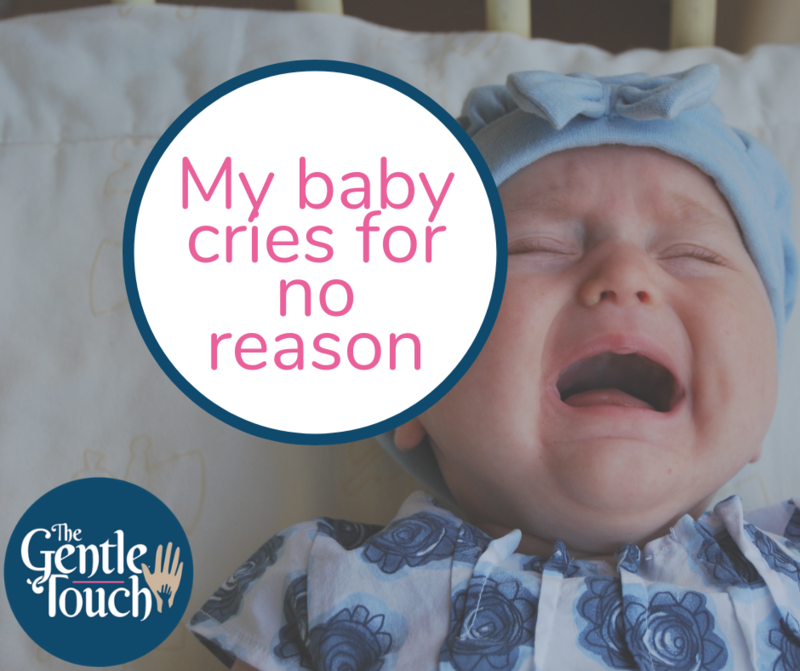 When you’ve been through the usual checklist of nappy change, feed, soothing cuddle, swaying, sleep, and anything else (including physical discomforts) you know that normally works, and your baby is still crying then check in with emotions, yours and theirs. Babies don’t decide to cry. It’s a reaction to something happening in or around them. They don’t understand what is happening and most of the time they don’t yet know what will make them feel better. If we start to blame ourselves for their crying it can affect the way we react. When we feel overwhelmed, depressed, angry, anxious or our mind is elsewhere it can be hard to connect. and relate. The relationship with your baby is a two way partnership. Your emotions can make a difference to how your baby feels just as their emotions can make a difference to how we feel. We won’t always know why they are crying and we won’t always make it better. They are trying to tell us something. If we don’t understand what that is but we are trying by being responsive, they will know that. They will know you are there and crying in arms with a loving parent is different to crying alone.